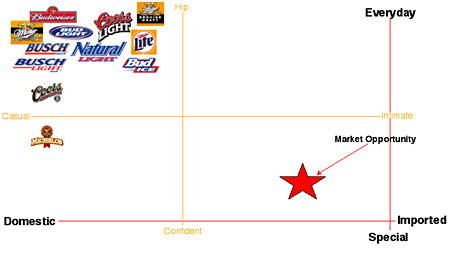 Yesterday I wrote a blog post called “5 beer spokesmen and what businesses can learn from them about marketing“. Right after I posted it, I read this excellent article on Stealing Share about beer markets and how they can increase market share. The article walks readers through the process of analyzing beer markets and finding a good opportunity in the market’s “whitespace” for beers to gain market share.